Jobclick provides proven recruiting processes to healthcare HR departments, allowing them to operate more efficiently and effectively. 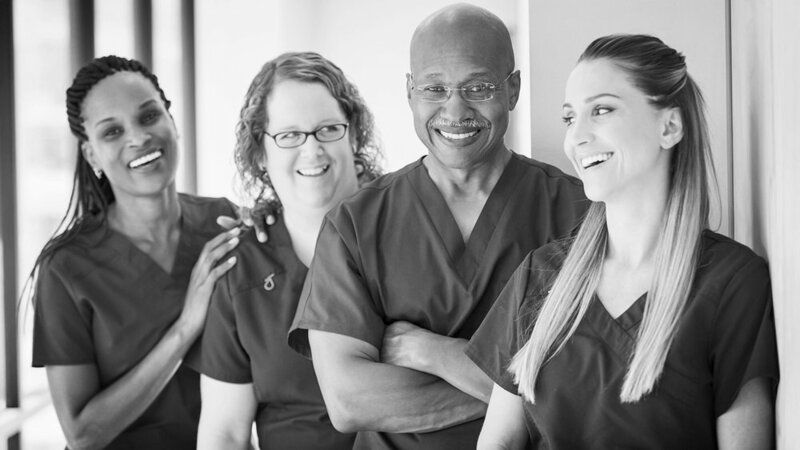 Turn your in-house private database into a consistent candidate "pipeline"
Cost effective alternative to nurse registries or recruiting agencies. Aiming high is absolutely necessary in recruiting for talent in today's competitive environment. That's why Jobclick is successful at recruiting. We don't settle for status quo. The attitude of "that's the way we always do it" leads to complacency and average results. We aim high, and deliver great results. We are driven by the constant question - "What is the cost of falling short?" Jobclick's primary goal is to make a difference for your organization. We see the small intangible benefits of successful recruiting. What starts as just filling a position leads to raising current employee morale, increasing positive company buzz, and building stronger emotional employee ties. And yes, we believe it's these little things that contribute to making a difference to your bottom line. When we talk to leaders, from heads of companies to managers of recruiting teams, we share our sense of responsibility to lift your companies and teams to a higher ground. Finding and recruiting great people is part of that responsibility. When great people lead other great people, people in those organizations are energized to work together elevating their lives, families, teams, and companies to the next level. We're not talking about the partnership between us and our clients. What we're talking about here are the partnerships between you and your employees. Your employees are your most important asset, and building trust and confidence in the people you work with brings many rewards-tangible and intangible. At Jobclick, we know your company's recruiting success contributes to building that trust with your most important partners. Courage to Persevere in the "War for Talent"
In your day-to-day trench battles in the "War for Talent", it's tough to remember the importance of your efforts, and to remember why you do what you do. Most of all, the frustrating daily recruiting grind can strip away your confidence, and keep you from finding the necessary energy to keep striving. Every new candidate is a potential hire that benefits your organization. Jobclick stands with you in waging the treacherous fight for talent in the best interests of your company. We stand strong, so you can stand stronger. We all have the right to dare to dream. Our greatest successes began with a dream, remember? Jobclick was founded on a dream to reinvent recruiting, and today we work everyday to accomplish our dreams with you. In case you've forgotten, your greatest recruiting challenge is not an impossible dream, and we'd love to show you how to accomplish and overcome your most challenging recruiting goals. Every recruiter's battlecry is "I want to see more qualified candidates!" Jobclick's patent pending recruiting process identifies the best qualified candidates for you faster. Plus, we seem to find more of them. Do you think that you can become a better recruiter when presented with Jobclick "qualified" candidates? Most healthcare facilities have a detrimental bottom-line dependence on contract labor. Using Jobclick will bring you more staff hires, and reduce the budgetary strain of contract labor on your facility.